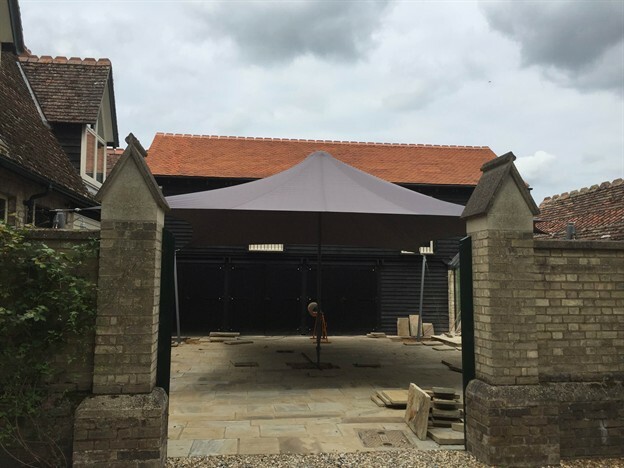 As part of the refurbishment of the ground and first floor of the courtyard complex at this private residence near Cambridge, we were approached to create a demountable structure which would provide an all-weather exterior entertainment space. We were unable to fix to the building because of its listed status, and we had to ensure that it was easy enough to put up and take down again due to its temporary nature. 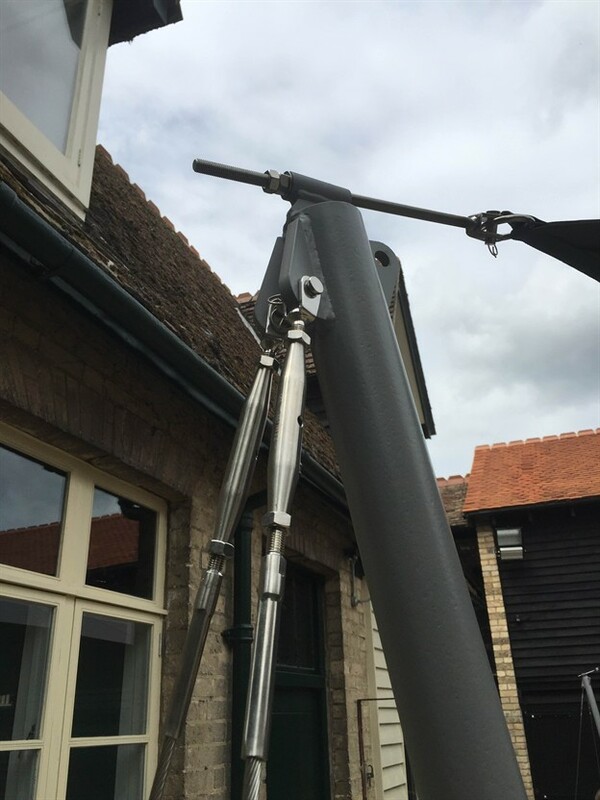 We designed an 8.5m x 7.5m cone canopy with supporting columns and a central jacking mast for ease of installation (as opposed to a fixed length post for permanent structures). 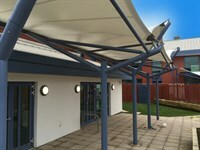 The canopy uses a robust nylon fabric in a grey tone and offers both UV and rain protection. 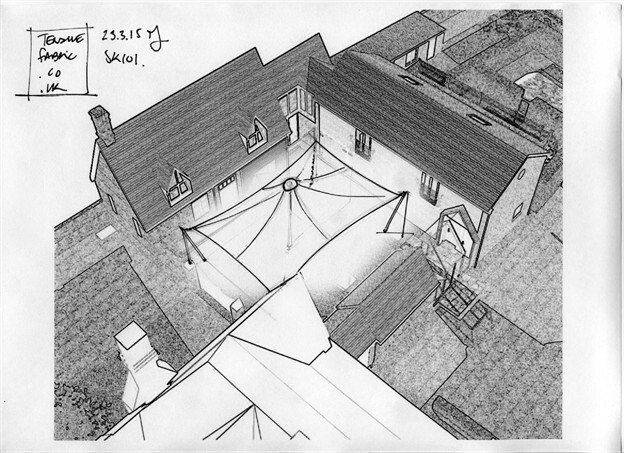 The structure should initially take two people 1.5 hours to put up and about an hour to take it down – this time should reduce the more often they install and demount.